This is why, this is why, this is why I walk. Why thank you good sir. Yes, the gym is SO boring! Thanks for commenting Janneke. Glad to hear you are still boxing. One more remark. I really don’t get the driving to the gym. Don’t you Americans have bikes? I know I am Dutch and we are THE country of cyclists, but is it really normal to take the car to the gym? That is just such a foreign notion to me. 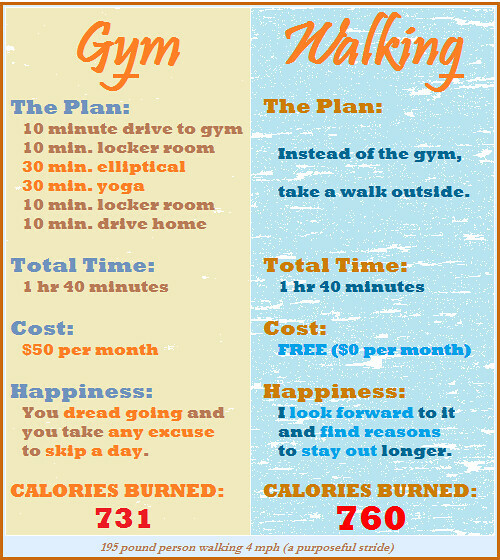 Especially when the plan is to actually burn calories. Just take your bike to the gym, the supermarket and to your work place if it’s in a 10k radius. You’ll also save money on parking and gas.